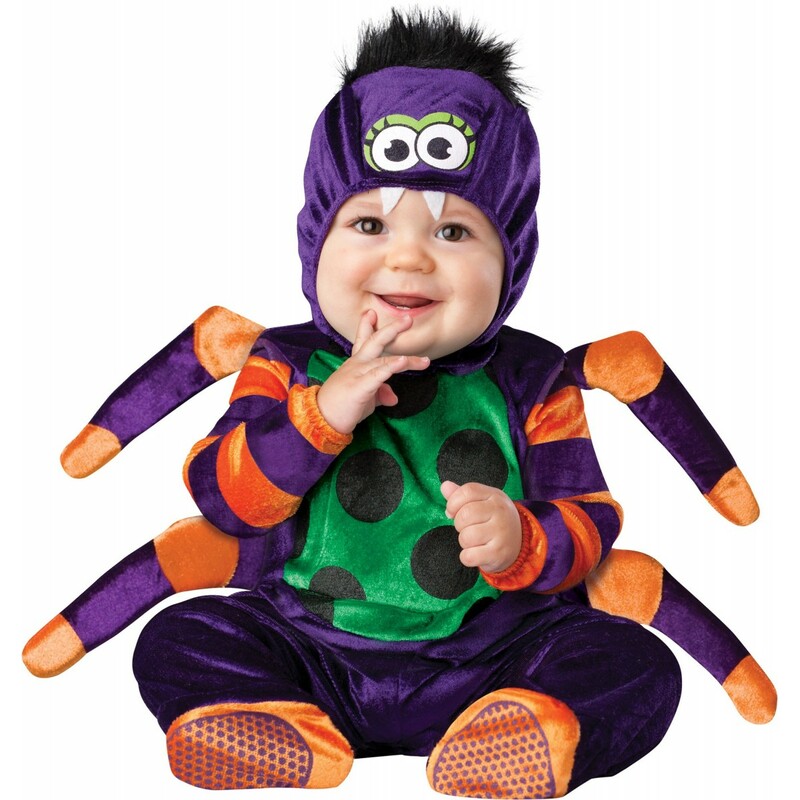 Your little arachnid will weave a web of delight with this super-sweet spider costume! 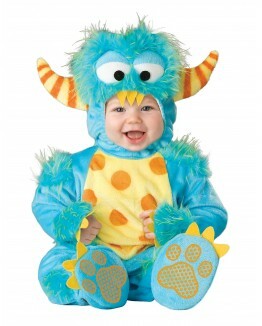 This costume will elicit squeals, but they won't be screams of terror. No one will be able to resist smiling at your swee-as-pie little spider when you dress your little one in this soft, comfortable costume. The Halloween colors of purple, green and orange are perfect for any baby, and your little one will be able to crawl and wiggle the night away in this soft-as-pajamas outfit. 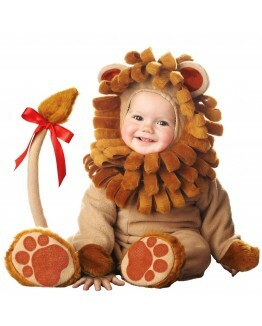 This costume will wrap your baby in snuggly softness from head to toe. The hood is purple and features a pair of adorably googly spider eyes. The jumpsuit is purple, green and orange, and includes two pairs of fuzzy "legs" to ensure that your little spider has a total of eight appendages. The feet are attached, so you won't have to worry about your little spider squirming out of his booties and ending up with cold tootsies. 6-12 Months 24.5-29" 18-19" 12" 7.8" 12.5-19.5 lbs. 12-18 Months 29-30.75" 19-19.5" 13.5" 8.5" 19.5-22 lbs.